Fire threatens a power pole during the Rye fire in Santa Clarita. Wildfires continue to scorch the Southland as more Santa Ana winds are expected throughout the week. UPDATED as of Dec. 11, 10 a.m.
SCE is requesting residential and commercial customers to significantly reduce power consumption in order to provide maximum coverage to the entire Santa Barbara area. As of Dec. 11 at 10 a.m., the Thomas Fire is causing intermittent outages and power surges in the Santa Barbara area, potentially affecting up to 85,000 customers. In the Ventura area, 2,052 customers are experiencing outages due to the Thomas Fire. The Thomas Fire has intermittently interrupted the transmission lines for the Santa Barbara area, at times leaving more than 85,000 customers without electric power. The Santa Barbara area transmission emergency is not affecting other parts of SCE’s transmission system. The fire is continuing to threaten the transmission lines serving Santa Barbara. SCE crews are continuing to monitor the situation. The utility is coordinating its emergency efforts with state, county and local officials. Generators have been deployed in numerous locations as repairs continue. Medical Baseline, Critical Care and Essential Use customers have been advised. SCE contacted all 21 of its Critical Care customers and supplied generators to 18 of them. Three declined. Contingent on flight restrictions by fire agencies, aerial inspections will be done Monday morning in fire-affected areas. SCE reminds customers experiencing a service interruption in the Santa Barbara area that they do not need to call SCE to report a power outage. SCE will provide the latest information on the restoration of electrical service in the Santa Barbara area on its website and via Twitter and Facebook. Customers may also download the SCE outages app on their smartphone. As several wildfires continue to rage across the Southland, Southern California Edison’s damage assessment teams and crews are working with first responders to safely enter some of the devastated areas to begin making repairs. As of Dec. 11 at 10 a.m., the Thomas Fire is causing intermittent outages and power surges in the Santa Barbara area, potentially affecting up to 85,000 customers. In the Ventura area, 2,052 customers are experiencing outages due to the Thomas Fire. Customers still impacted by the other three fires burning in SCE territory include the: Creek Fire in Sylmar (6 customers), Rye Fire in Santa Clarita (no customers) and Liberty Fire in Murrieta (no customers). After fire agencies allowed access, SCE crews completed damage assessments in 80 percent of the areas to which it has been granted access (many areas of the fire remain inaccessible) that were impacted by the Thomas Fire. Assessments are complete for all areas impacted by the Creek, Rye and Liberty fires. The progress of their work will be determined by weather conditions, terrain and the movement of the fire, but so far crews have replaced 309 of 519 poles damaged to date in the Thomas fire, 29 of the 57 poles damaged in the Creek fire, 43 of the 45 poles damaged in the Rye fire and all 14 of the poles damaged in the Liberty Fire. Contingent on flight restrictions by fire agencies, aerial inspections began this morning in fire-affected areas. SCE used helicopters to start setting poles in the areas affected by the Creek Fire. This work is scheduled to continue on Monday morning. When fully assessed, SCE anticipates the magnitude of the damage to be extensive. 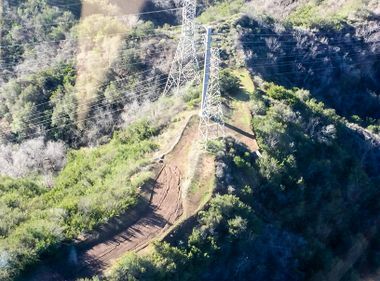 The restoration effort for the Thomas Fire will require construction work from the ground up on the local circuits that power the fire-affect areas. This will include the engineering and design of all utility structures, and the installation of poles, transformers, switches, etc. Through preliminary damage assessments as well as reassessing resource needs, SCE has determined native and contractor resources are adequate to manage restoration requirements and mutual assistance is not required at this time. Customers impacted by these fires should be prepared to be without power for at least the next few days and power will be restored to customers incrementally on a circuit-by-circuit basis. There is no specific order in which customers will have power restored beyond the accessibility to the fire-damaged areas. The only priorities that will be considered where accessibility isn’t an issue are essential services (police and fire facilities, hospitals, water and sewage facilities) and critical care customers. The last circuits to be rebuilt may take up to a week or more. 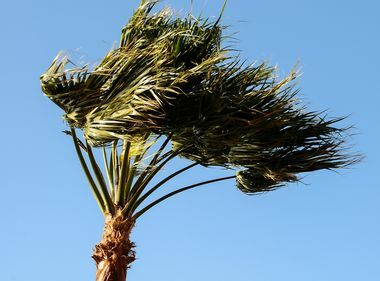 “We understand the inconvenience of turning off electric service and will make every effort to reach out to customers in affected areas to make them aware and will work to notify fire and public safety agencies, as well as local and state officials in advance of shutting off power,” said Paul Grigaux, incident commander and SCE vice president of Transmission, Substations and Operations. Estimated power restoration information related to these specific areas will be updated as it becomes available. For additional information on outages customers can visit sce.com/outages. SCE has mobilized resources to the impacted areas and has additional crews and personnel on standby in case there are outages caused by the fires. Many of the scheduled maintenance outages in areas affected by the fires will be rescheduled. SCE is also contacting critical care and medical baseline customers affected by the Thomas Fire. Transmission lines will continue to be threatened as the fires burn along the transmission path, possibly causing additional interruptions. A local transmission emergency was declared by the California Independent System Operator due to the loss of critical transmission lines serving the Ventura and Santa Barbara area, and the system operator has requested additional generation units to support restoration of power for the impacted area. Due to the fires, the system could face additional strain and SCE is asking customers to conserve energy. Please note that there are reports of individuals posing as Edison employees going to residences in fire areas attempting to enter homes. Customers should immediately contact local police. SCE employees will never enter a residence or ask for cash payments for services. If you suspect suspicious activity in an evacuated area, immediately call police or SCE at 800-655-4555. Customers who received a recent notification of a maintenance outage can check on its status by going to sce.com/outages. Then select: “View Your Maintenance Outage Status.” Customers can use the outage number from their notification to get the latest information. Customers may report or inquire about outages at 800-611-1911 and get the latest information using the SCE outages app at sce.com/outages. Customers can also get the latest information by visiting www.sce.com/staysafe or at twitter.com/sce and facebook.com/sce. Power outages in the area may impact traffic signals, and vehicles should treat all intersections as four-way-stops. Use extreme caution. Use flashlights instead of candles to avoid fire hazards in your homes and businesses. 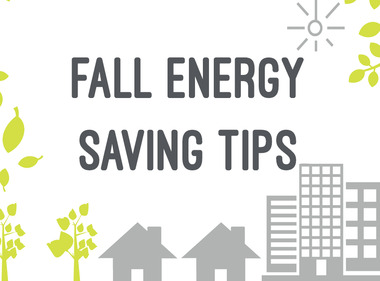 Set thermostats to no higher than 68 degrees.